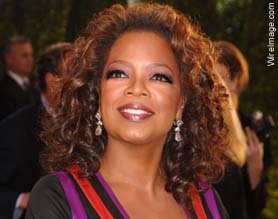 OMG, I want to work for Oprah! So according to this Page Six article one of Oprah’s Harpo Studios employees racked in $65,000 in overtime from January through April of this year. Overtime people, not salary. As in in addition to her regular paycheck. I would totally work a 12 hour day for that kinda dough. well, that and to celebrate the 20th anniversary of Harpo Productions Oprah took every employee and their family on a week long vacation to hawaii. I’d be liking that cool cash too! Only problem would be that you might have to actually put up with her in person…I wouldn’t be liking that too much! Think I’d rather chat with Amy Winehouse.